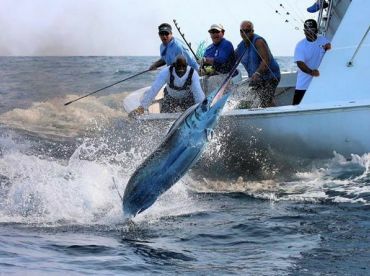 The scream and smoke of overworked drag, the shouts of the crew as they coordinate the attack, the terrifying thrill as hundreds of pounds of pure muscle explode out of the water–nothing gets the blood pumping like Marlin fishing, and the Blue Marlin Puerto Rico captains spend their lives battling are some of the toughest in the Caribbean. 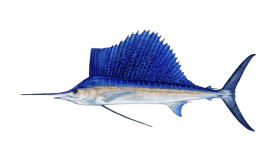 All around the island, take on the king of Billfish just a few miles from shore. You can get double or even triple-headers when the bite’s hot. The country has only had a few granders so far, but fish in the 500-800 lb range show up each season. Trust us, they’re enough to put even the most skilled sportfishing teams to the test! The best time to target Blue Marlin in Puerto Rico varied with where on the island you start. 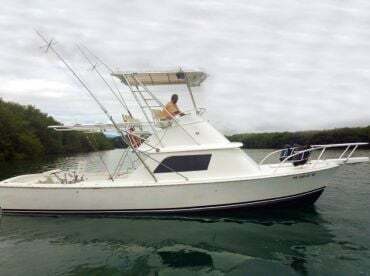 San Juan’s main Marlin season runs February-June, when monster Billfish come within a couple of miles of shore. 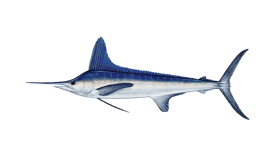 Towards the end of the season, they’re joined by White Marlin. As if there wasn’t enough action already! The south coast has a much shorter season, running March-May. 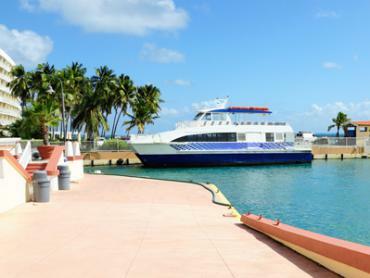 There are fewer charters on this side of Puerto Rico, probably for that exact reason. 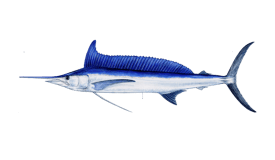 The west of the island gets not one but two Marlin migrations each year. A second wave shows up in August and stays around through October. 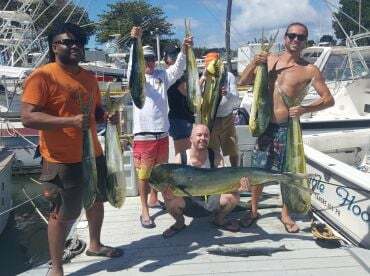 They run along the canyons and ridges of the Mona Passage, and can be even better than the spring Marlin bite! 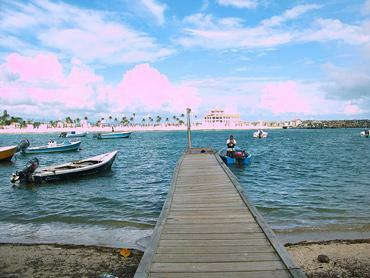 A date worth saving is the International Billfishing Tournament. 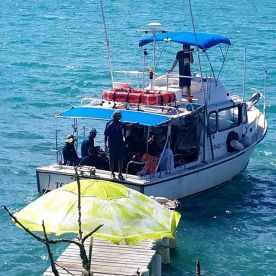 This is one of the world’s oldest Marlin tournaments, celebrating its 65th year in October 2018. Book well in advance if you’re visiting then. Up for a challenge? 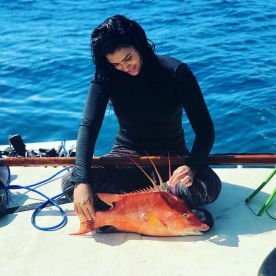 For under $2,000, you could spend two days fishing one of the world’s best competitions, with beach barbecues, cocktail parties, and award ceremony banquets thrown in for free. Sounds pretty good value when you think about it! Trolling rules the waves around Puerto Rico. 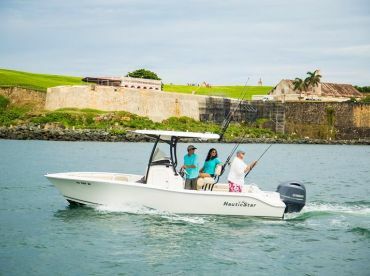 Most charter boats prefer to fast-troll lures, either hitting the buoy FADs around San Juan Harbor or following birds and surface action on the hunt for feeding fish. 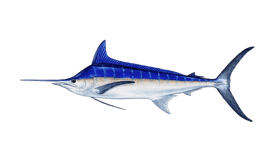 Pitch baits are also very popular here, trolling unhooked teasers then throwing out a whole, circle-hooked Ballyhoo or Spanish Mackerel just as the fish comes in for the kill. 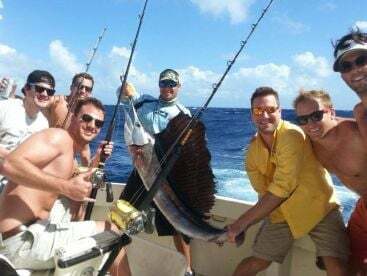 The Marlin fishing Puerto Rico enjoys each year is enough to make anyone fall in love with the place. The fish are only part of the reason we love it, though. 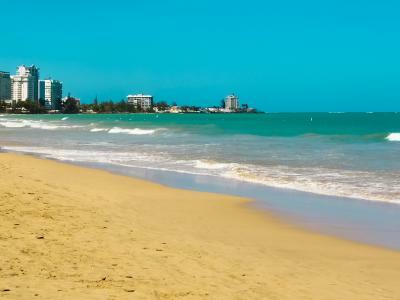 San Juan is an amazing city, the island itself is stunning, and you don’t need a passport to get there from the States. 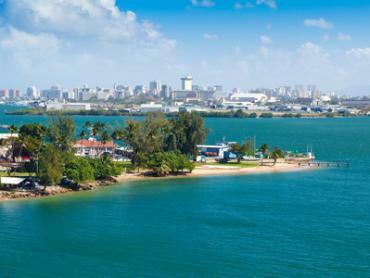 Throw in awesome beaches and great rum and you’ve got the perfect Caribbean getaway! 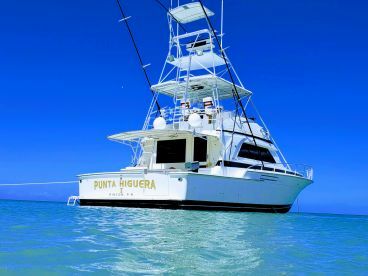 Marlin (Blue) fishing in Puerto Rico varies moderately throughout the year. High season is February to June and August to October. Low season is January and November to December. There is no closed season.